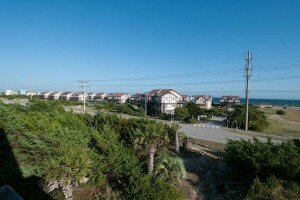 The Outer Banks of North Carolina contain some of the most relaxing, picturesque vacation destinations you can imagine. 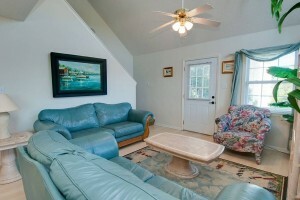 Emerald Isle, NC is the perfect destination for anyone wishing for some quiet time on the coast. 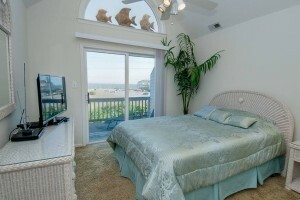 Sun, surf, and a cooling breeze make this an appealing getaway at any time of year. 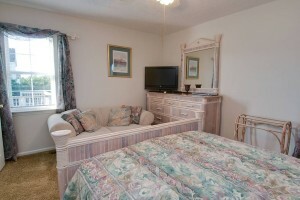 Here you will find Hopkins Haven East, a family beach house located on the beautiful Crystal Coast. 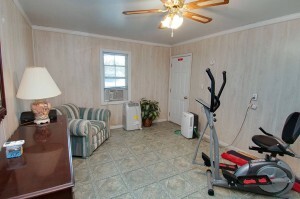 All the comforts of home are available in this year-round rental property. 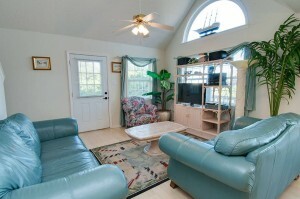 Hopkins Haven East is a newly added vacation rental. 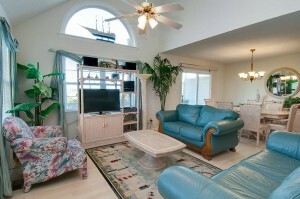 The duplex is a generously sized beach house, perfect for families, couples, or groups of friends.  The garage provides secure storage for vehicles, beach gear, and other items. 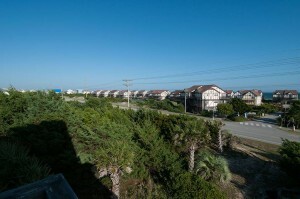 An expansive deck wraps around the length of the house and offers a relaxing view of the surrounding Crystal Coast. 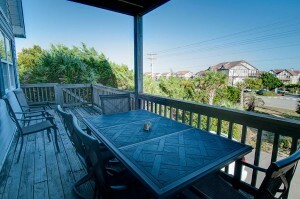 A smaller third story deck is perfect for private lounging. 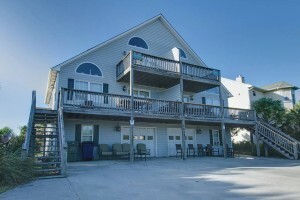 Stunning views of the Emerald Isle, NC sunset can be seen every day from these two open air decks. 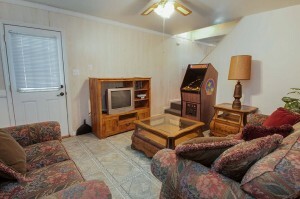 Inside this family beach house you will find a tastefully appointed living room with numerous overstuffed chairs. 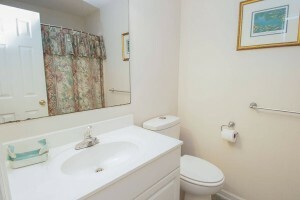 Offer your guests the most comfortable seat in the house; they will have plenty to choose from. 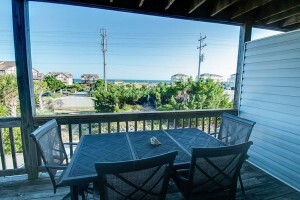 This is the perfect setting for relaxing after a day spent exploring Emerald Isle, NC or when enjoying a lazy weekend morning as a family. A flat screen TV and other electronics mean that you are never far away from your favorite movies, music, and television shows. 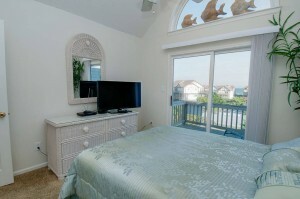 Overhead ceiling fans create a cool breeze at the touch of a button. 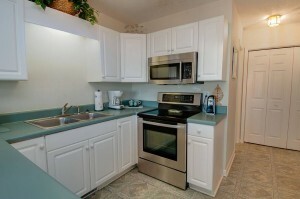 The cozy kitchen is perfect for preparing all your favorite meals. 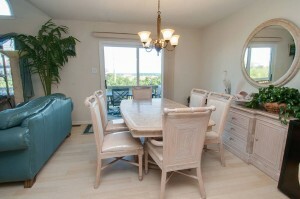 Seat your guests at the full-sized dining table, or set an intimate casual meal at the countertop bar in true Crystal Coast style. 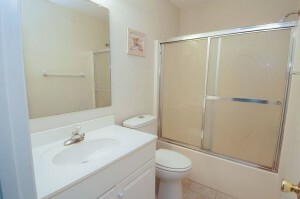 If you are looking for a little more space, then consider renting Hopkins Haven West next door. 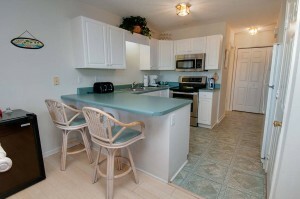 Renting both properties would allow for an amazing space for a family reunion or a girls weekend. 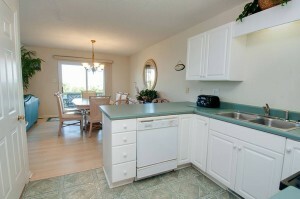 This new family beach house property has everything that you could ask for. 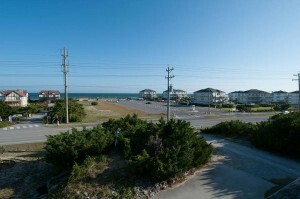 From convenient beach access to year-round availability, Hopkins Haven East is certainly a dream come true. 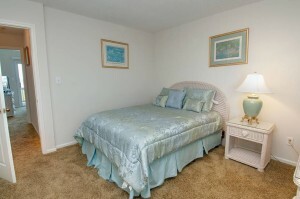 Reserve your stay today in this Crystal Coast property and don’t forget to take a look at the adjoining property, Hopkins Haven West.